Teeth whitening in Pune lightens teeth and helps to remove stains and discoloration. Whitening is among the most popular Cosmetic Dentistry in Pune procedures because it can greatly improve how your teeth look. 1. Oral prophylaxis: A thorough oral prophylaxis is done by the expertee at FDOC . By thorough we mean scaling,polishing,gingival massage,fluoride application and local drug delivery if required. Here debris on/around the surface of the teeth are removed using ultrasonic scaling tips. Oral prophylaxis is recommended every 6 months. 2. Bleaching: here the endogenous pigmentation from the top layers of teeth are removed using chemicals. What’s Tooth whitening Used For ? The most common reasons for teeth to get yellow or stained are: . Drinking dark-colored liquids such as coffee, cola, tea and red wine. Not taking good care of your teeth. It is also possible to have stains inside the tooth. These are called intrinsic stains. For example, intrinsic stains can be caused by exposure to too much fluoride as a child while teeth are developing. Other causes include tetracycline antibiotics. 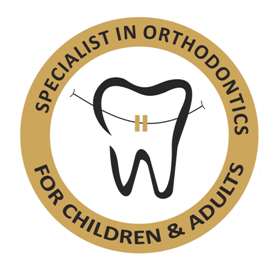 They can stain a child's teeth if taken by a mother during the second half of pregnancy or by a child who is 8 years old or younger. Teeth are still developing during these years. Trauma may also darken a tooth. Tooth whitening is most effective on extrinsic stains. What Preparation is required for Tooth whitening ? Other dental problems can affect the success of tooth whitening. For example, cavities need to be treated before teeth are whitened. 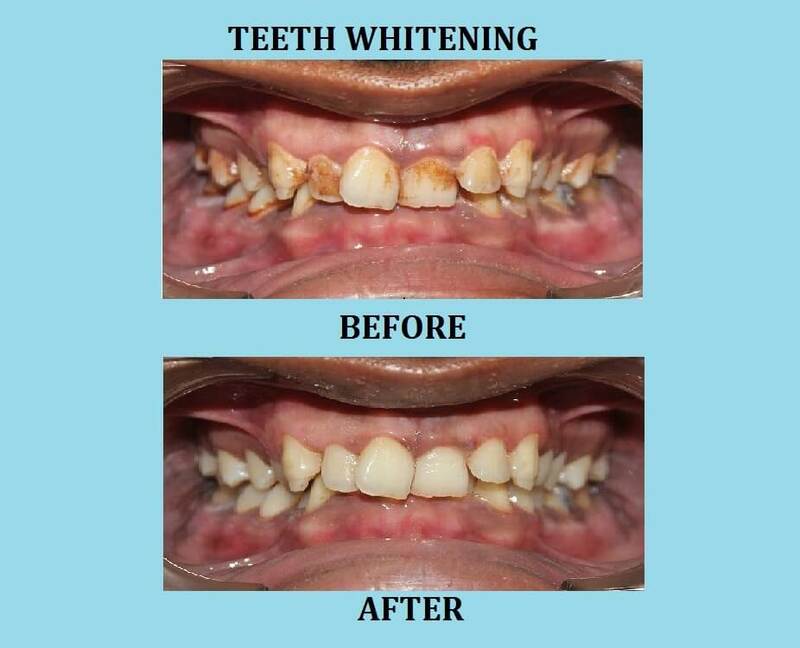 That's because the whitening solution can pass through decayed areas and reach the inner parts of the tooth. If your gums have receded, the exposed roots of your teeth may appear yellow or discolored. Whitening products will not make them whiter. Whitening can be done in the dental office or at home. For in-office whitening, your Best dentist in Pune probably will photograph your teeth first. This step will help him or her to monitor the progress of the treatment. Your Good Dentist in Pune also will examine your teeth and ask you questions to find out what caused the staining. Next, the dentist will clean your teeth. This will remove the film of bacteria, food and other substances that build up on your teeth and contribute to the staining. Once this is done, the whitening procedure begins. For whitening at home, your Best dentist for implant in Pune can make trays to hold the whitening gel that fit your teeth precisely. Home whitening gel usually needs to be applied daily for two to three weeks. Over-the-counter kits also are widely available for home use. They provide trays to hold the gel, or whitening strips that stick to your teeth. Talk to your dentist if you want to use these home products. Be sure to follow directions to avoid overuse and possible damage to your teeth and mouth. How tooth whitening Done ? There are two main types of whitening procedures. Non-vital whitening is done on a tooth that has had root-canal treatment and no longer has a live nerve. Vital whitening is performed on teeth that have live nerves. Vital whitening may not improve the appearance of a tooth that has had root-canal treatment because the stain is coming from the inside of the tooth. If this is the case, your Best dentist in Pune will use a different procedure that whitens the tooth from the inside. He or she will place a whitening agent inside the tooth and put a temporary filling over it. The tooth will be left this way for several days. You may need this done only once, or it can be repeated until the tooth reaches the desired shade. Tooth whitening can be done in the dentist's office or at home. In-office (chairside) whitening allows your dentist to use a more powerful whitening gel. A specialized light or laser activates the gel and allows bleaching to happen faster. In-office whitening usually takes 30 to 90 minutes. You will need one to three appointments. The number will depend upon the method used, how severe your stains are and how white you want your teeth to be. Different types of stains respond differently to the treatment. First, your Good Dentist in Pune will apply a substance that covers and protects the gums around the teeth. Then, the whitening agent, usually hydrogen peroxide, will be placed on the teeth. Some whitening agents are activated by a laser light, special lights or by the heat from these lights. After the whitening agent is applied, the dentist will shine the light on your teeth. If your teeth are badly discolored, your dentist may suggest that you continue the bleaching process at home for a few days or weeks. For in-home whitening, your Best dentist in Pune will take impressions of your upper and lower teeth and will make custom mouthpieces to fit you. The mouthpiece needs to fit well. A close fit helps the whitening agent remain in contact with your teeth. At home, you will fill each mouthpiece with a whitening gel your dentist provides. You will wear the mouthpiece for several hours every day. Many people achieve the amount of whitening they want within a week or two. However, you may need to wear the mouthpiece for four weeks or longer. You also can buy whitening products over the counter. They contain a weaker whitening agent than the products you can get from your dentist. Therefore, whitening may take longer. The whitening agent is applied as a gel placed in a mouthpiece or as a strip that sticks to your teeth. Over-the-counter mouthpieces fit less securely than the kind you get from your dentist. Whitening toothpastes are available as well. They contain abrasives that remove stains on the enamel. They do not actually change the overall color of your teeth. If you find that your gums are white or sore, follow up with your dentist. Whitening is not a permanent solution. The stains will come back. If you smoke or consume a lot of staining foods or drinks, you may see the whiteness start to fade in as little as one month. If you avoid these sources of staining, you may not need another whitening treatment for 6 to 12 months. Re-whitening can be done in the dentist's office or at home. If you have a custom-made mouthpiece and whitening agent at home, you can whiten your teeth as frequently as you need to. Discuss your whitening schedule with your dentist. You can talk about what whitening products would work best for you. Whitening is unlikely to cause serious side effects, although some people's teeth may become more sensitive for a short while. You may get mild gum irritation as well. Women should not have their teeth whitened while pregnant. The effect of the whitening materials on the development of the fetus is not known. Since the procedure is cosmetic, it should be postponed until after delivery. If you feel your teeth would benefit from whitening, contact your Best dentist in Pune to discuss the procedure.